2124 20th Ave S, Birmingham, AL.| MLS# 795926 | Richard Jacks UABLIVING.com 205-910-2297 | Birmingham AL Real Estate | Contact us to request more information about our Homes for Sale in the Birmingham AL area. Owners have been transferred! They hate leaving this GREAT HOUSE and GREAT LOCATION! With no plans to move --they began their updating with the exterior and the fenced yard. The roof is new- 2016. The backyard has been cleared and completely sodded, some new retaining walls and 1 large deck added. Enjoy relaxing or entertainig under the added Pavillion. This 3 bedroom 2 bath home features a large Living Room with a gas log fireplace, separate Dining Room, a Bonus room/study, a 2nd Bonus room which is referred to as the "sound proof room", a large eat in Kitchen, a 1 car Garage with some extra space for bicycles and / or a motorcycle, beautiful hardwood floors, crown molding, plantation shutters, and some blinds. The storage is more than ample. Use the front outdoor space too with its quaint stone patio. 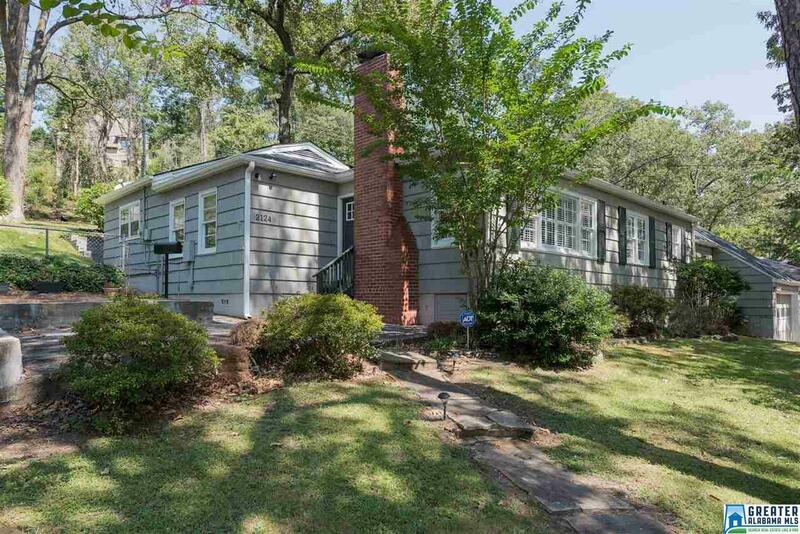 This home is minutes away from UAB and Downtown, Homewood&apos;s shopping and restaurants or walk o English Village (this part of 20th features a sidewalk to English Village) So convenient. Driving Directions: Cahaba Road (English Village) -turn Onto Diaper Row (21st Ave. S.). Take The 2nd Right Onto 22nd St. S. Then Left Onto 20th Ave. South.the House Is On The Right. Or 21st Ave.s (Diaper Row).travel Underneath Red Mountain Expressway And Then Take The Next Left Onto 20th Ave.